Skinsations Soap is often involved with various fund raisers and causes, both nation wide and local. We are proud to have donated portion of the sales of specific products to groups such as World Child Cancer, Water Aid, and Leukaemia & Lymphoma Research. We have sent donations of soap to Clean the World, an organization that distributes recycled soaps and hygiene products to children and families in countries with a high death rate due to acute respiratory infection (pneumonia) and diarrheal diseases (cholera) – which are two of the top killers of children under 5. Since 2009, Clean the World has distributed more than 33 million bars of soap in 100 countries. In the past, we have also contributed locally to a group called Sacred Suds that provides soap and hygiene products to local families in need. From time to time we participate in events to help raise funds for groups such as No More Sidelines, an organization aimed as Special Needs kids in our community, as well as an event to raise funds to build a dog park. soaps for their hygiene kits that are distributed in disaster relief situations. 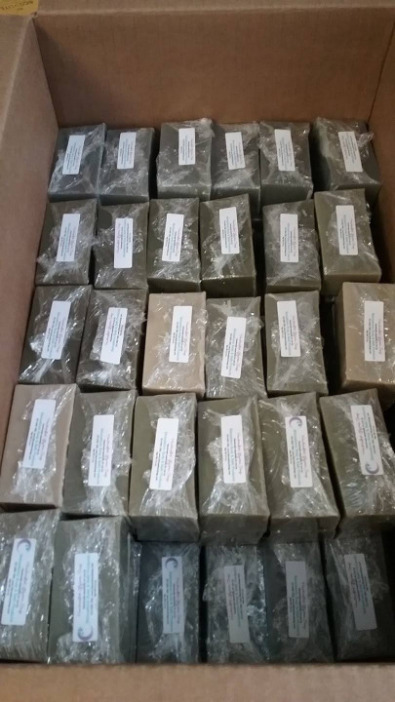 We were able to provide them with 21 pounds, over 100 bars of soap for their kits.